CHESTERFIELD, Va. — Chesterfield resident and self-described patriot Phil Henderson has begun his Fourth of July festivities as he does every year, by disrespecting and desecrating the flag of the United States in new and exciting ways. Be patriotic towards The Peedmont – check out our online store. After eating said nachos, Henderson headed outside to display his patriotism in a manner that violated several provisions of the U.S. Flag Code. Henderson, having left his flag outside all night in the rain in violation of 4 U.S.C. §6(a) and (c), grabbed it off it’s pole and draped it over his pickup truck, in violation of 4 U.S.C. §7(b), before heading to the gas station for beer. Ensuring variety, Henderson also made sure to display his “Blue Lives Matter” flag that features an illicit blue stripe down the middle, also in violation of 4 U.S.C. §8(g) barring the placement of any mark or design on the flag outside of the traditional stars and stripes. 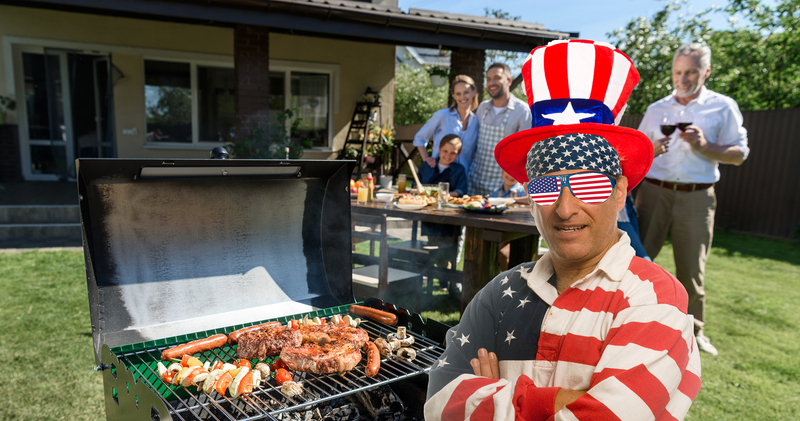 Henderson then began preparing for his annual Fourth of July barbecue, attended by many fellow patriots in the Chesterfield area. Making sure to violate 4 U.S.C. §8(i), outlawing the use of the flag on “anything that is designed for temporary use and discard,” Henderson set out several American flag napkins for his guests. He then placed an American flag lapel pin on the right side of his clothing away from his heart, in violation of 4 U.S.C. §8(j). When informed of these numerous transgressions, Henderson stated that his purported violation of federal law “sounded like a bunch of Commie nonsense.” Henderson continued, commenting that “anyone who doesn’t respect the flag of these United States is a traitor.” Henderson then concluded the evening by saluting the Confederate Battle Flag, which he had placed above the flag of the United States in one final violation of 4 U.S.C. §7(c).